Also, check out our extended family of contributors at our extended family roster. Extraordinary keyboardist and innovator. 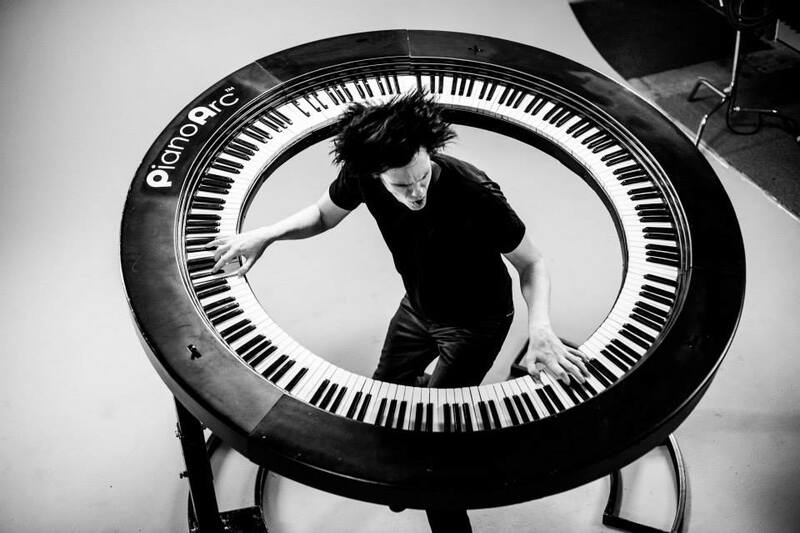 Keyboardist for Lady Gaga and keyboardist winner of MTV’s Making His Band show is leading the pack in the use of the PianoArc on stage. Chuck built his first keyboard, a synthesizer kit from PAIA, at age 13. 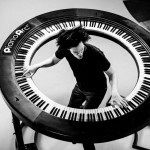 It started a love affair with the potential of keyboard technology that drives soul of PianoArc today. With a strong background in retail, wholesale and software – Chuck worked with Brockett to refine and explore the original idea and built the extraordinary team that is driving this evolution forward. Chuck profile and more at cej.onlinerecital.com. Dave Starkey is lead designer and engineer on the PianoArc since 2014. 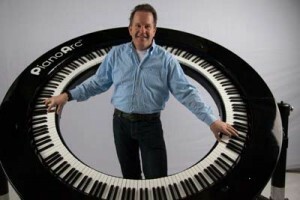 Dave, a pioneer in MIDI and music electronics as the founder of MIDI9 delivers a super sensitive keyboard to sound connection. 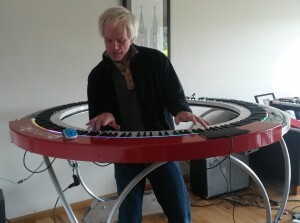 Dave is inventor of numerous keyboard sensing technologies. These allow our products to “speak” to the computers in ultra fine grained resolution. Dave takes ideas that seem remote or impossible and makes them real in short order. Jim Behmke gets the overqualified team award. As a lead patent attorney for some of the world’s most prominent tech companies, he put together the patent documents and drawings that underpin the give scope to the project and its future. Jim is the Managing Director of the Boston office of PIB Law. 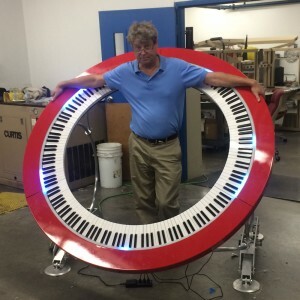 He rocks the house regularly in all things patent, but when he’s not jamming the keys (on his laptop), he’s deep in thought about his own next great invention. Chris Legere contributes his considerable design skills to the stand and the design and dimensions of the entire project. His original designs are fundamental to the unique look and feel of our stands and products. He contributed many, many hours to building the original circle while nursing a beer and a 1 year old (not at the same time). Eric’s long history working with audio/MIDI technology and as a professional keyboardist was a natural fit for the PianoArc team. Eric took the reigns designing and implementing the firmware for the XYZ touch-sensitive pitchbend/modulation pad that has become a unique part of the PianoArc arsenal. There couldn’t be a more all-round do’er than Mr. Peter Cote. This man stepped up in the latter stages of the project and contributed a work ethic that inspired the entire team. In the Boston area real estate biz by day, and major live music fan – you’ll see nearby a stage near you. Check out our extended family of contributors at our extended family roster.